AM25FEDIEA: 25th anniversary of FEDI-EA (1992-2017). AO10EURAO: 10th anniversary of EURAO (2005-2015). AO150ITU: 150th anniversary of ITU (1865-2015). CB 30 anniversary: 30th anniversary of the legalization of CB in Spain (1983-2013). CQ ENCE: National Exercise of Emergency Communications. EANET Sprint Contest: quick international contest. EUDOTA: Europe Day, 9 May. EANET Award: Radio Clubs of the World Award. Ràdio Club Barcelona Permanent Award (EA3RKB). EA National Contest: HF. (EA7RCS). 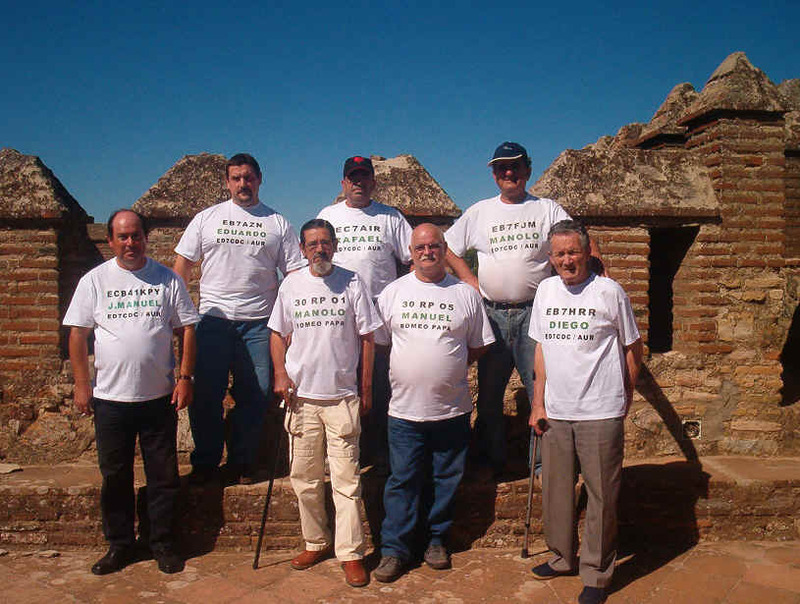 "Fira i Festes Guadassuar" Contest: VHF. (EA5RKG). SYSEA: Sysops of EA organisation. EANET: Spanish Packet Radio Network. EANET'96: I International Packet Radio Contest. EANET'97: II International Packet Radio Contest. Note: To facilitate the participation of operators in some multi-club activities of FEDI-EA, a booking system was designed. AUR: Castillo de Cortegana en el aire.